This offering from Federal is a great way to supplement your training stock while supporting the families of fallen police officers. 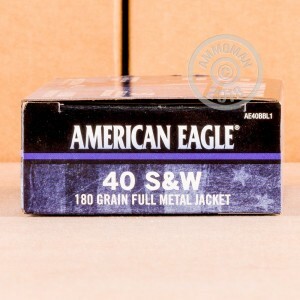 Each box of American Eagle C.O.P.S. purchased will generate proceeds for the Concerns of Police Survivors foundation which helps ease the burden of family members left behind by line-of-duty deaths. 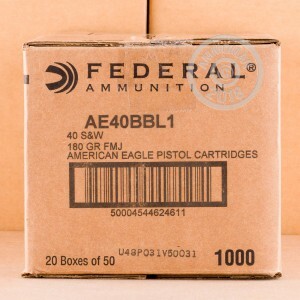 Inside each box, shooters will find the same great, inexpensive ammunition that they are used to seeing in the American Eagle brand. 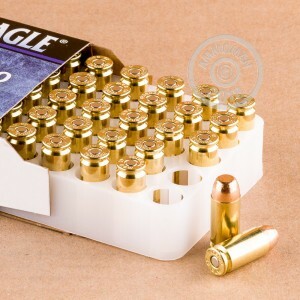 This particular ammunition is perfect for range practice and local matches with .40 caliber firearms. Each round is constructed using a reloadable brass casing equipped with a clean-igniting Boxer primer at its base. The case profile is fueled by Federal's own fully consuming powder and headed by a 180-grain full metal jacket (FMJ) projectile; this weight is extremely common to the .40 S&W and produces recoil similar to duty and defense options. The FMJ shape feeds cleanly and is ideal for paper, steel, and cardboard targets. Since 1922, Federal has been at the forefront of ammunition production and is well-known for top-grade performance and an undeniable bond to the shooting community.